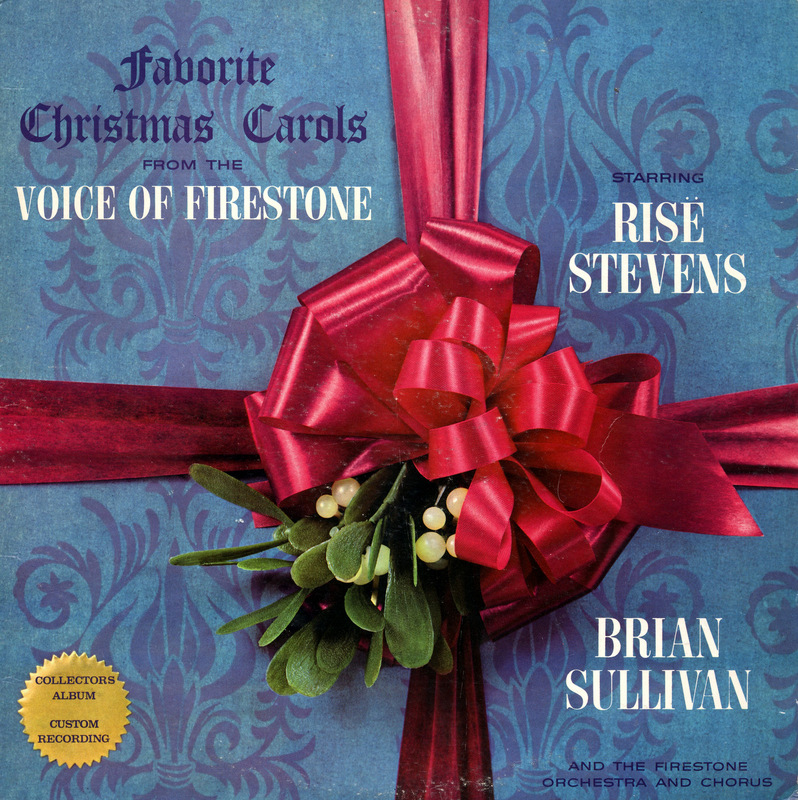 Firestone Tire Stores released Christmas LP compilations during the Sixties featuring custom recordings of famous classical and pop artists. These collections differ from the Goodyear series in that these are original recording made especially for Firestone and features one set of artists on each release. All of the covers were the Bow with Holly but with varying background colors. As far as I can tell, only the Volume 5 Julie Andrews recording has ever been re-released.